Known as the Western Gateway to the Everglades National Park, Everglades City is recognized first for its stone crabbing industry and for the great sport fishing of the 10,000 Islands which attracts thousands of tourists each year. 422 Riverside Drive Everglades City Villas. Waterfront very unique 2 BR / 2 BA stilt home located on Tarpon Creek. Open floor plan with small kitchen, living room, dining room and sun room. Screened porch over looking your boat. Large downstairs screened deck on Tarpon Creek. Enclosed shop / storage and bonus room. A real must see! Asking ... $495,000. 356 Freesia St. 2 BR 2 BA waterfront stilt home, located on the peninsula. Granite counters, stainless appliances & tile throughout. Bay windows looking over Lake Placid. Sliding glass doors out to the screened porch. Two separate enclosed garages. Hurricane impact windows. Dock. Asking... $399,000. 594 Collier Avenue 2 BR 2 BA waterfront home. Concrete built with hurricane impact windows and doors. Silestone countertops, stainless appliances, porcelain tile throughout. 77 foot dock with 16,000 lb lift. Water and electric at dock. Bonus room! Move in ready, completely furnished. 205 N. Copeland Ave. Single Family home. This home was flooded from Hurricane Irma and is being Sold AS IS. Home is 1200 sq. ft with a fenced back yard. Asking ... $129,000. 815 S. Copeland Ave #3 A 3 BR / 2 BA stilt mobile home in Glades Haven Resort 2, HOA. Assigned dock on the canal. Amenities include pool and boat ramp. Quick easy access out to Gulf of Mexico. Asking ... $199,000. 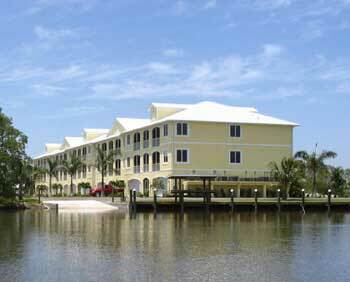 Condominium Units Available for Carefree Everglades City Living. Units are ready to become your home or rental property. All units have full access to common areas - waterside swimming pool and a boat ramp. Estuary #108 2 BR / 2 BA + den upstairs unit. Concrete built with impact windows and doors. Tile floors throughout, granite counter tops, stainless appliances and wood cabinets. Large double car garage. Boat ramp, loading dock and pool on site. Currently in rental pool. By appointment only. Asking ... $274,000. Estuary #102 Furnished 2 BR / 2 BA + den upstairs corner unit. Concrete built with impact windows and doors. Tile floors throughout, granite counter tops, stainless appliances and wood cabinets. Large double car garage. Boat ramp, loading dock and pool on site. Asking ... $274,000. 211 Buckner Ave. S. #815 Everglades City Club Lodge & Villas II Two Bedroom / two bath stilt condo overlooking Lake Placid and your boat dock with a lift. The unit has been upgraded, tile floors, wood cabinets, silestone counter tops and stainless appliances. Screen porch with a view of Lake Placid. Storage / workshop. Hurricane shutters. This unit has two boat slips. Fully Furnished. Asking ... $169,000. Lake Placid Unit #606 Location, Location, Location! This unit has a fantastic water view overlooking Lake Placid and the Big Cypress National Preserve. Large screened lanai overlooking your boat dock with a lift. Fully furnished with many new upgrades. Pool & boat ramp. Rental potential. By Appointment. Asking ... $229,000. Unit #5 Vacant lot with a one bedroom / one bath 2011 RV. Enclosed porch. Boat dock in the protective basin. Easy access out to the Gulf of Mexico or the famous back County fishing. Other amenities include a boat ramp, fenced storage area, fish cleaning station, laundry, bathhouse and rec hall. Fully furnished. Asking ... $99,000. Unit 5-M Vacant mobile home / RV lot with assigned boat slip on the canal. Amenities include a boat ramp, bath house and rec hall and extra parking spot in a fenced lot. Asking … $72.000. 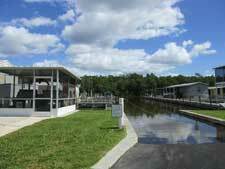 Unit 10-M Direct waterfront vacant mobile home / RV lot with assigned boat slip on the canal. Amenities include a boat ramp, bath house and rec hall and extra parking spot in a fenced lot. Asking … $100,000. Ashnoca Apartments, Freesia Street 7 out of 8 units being sold together. Great investment opportunity. 3 units have City dock leases on the Barron River. The complex also owns an attached vacant lot for extra storage / parking (7/8 shares come with this sale). These can be made into adorable rental units, weekend get-way or a fabulous fish camp. Ready for your project! Glades Haven Resort & Marina is nestled among the 10,000 Islands on the Western edge of The Everglades National Park and just three miles away from the open waters of Gulf of Mexico where fishing, sightseeing, canoeing, bird watching or just relaxing are a part of each and everyday. Vacant lots starting at $25,000. Owner Financing Available. Deeded Boat Slip Dock in protected basin. Quick easy access out to the Ten Thousand Islands and Gulf of Mexico. Boat ramp privileges. Three docks available Two docks available Starting @ $14,900. Allen Ave. And Ixoria Street Two filled lots just steps (300' +/-) from the Barron River! A new stilt home could offer nice views of the River. This is zoned VC, plenty of possibilities. Asking $139,000. combined. 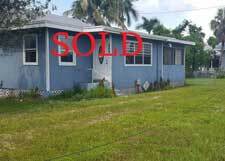 © Copyright 1999 - Present by Glades Realty, Inc..